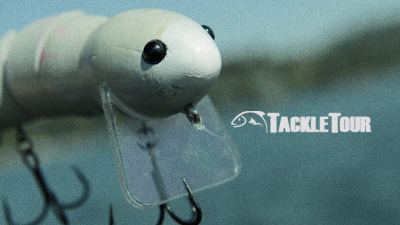 Bull Shad Swimbaits enters the rat race with their Bull Rat. Typical of what we've come to expect from Bull Shad Swimbaits, the Bull Rat is rather nondescript. It measures just under five inches in length, consists of three pieces and a long, soft plastic tail that almost looks like a six inch Senko. Overall weight of the Bull Rat is just over two ounces. It comes with Mustad KVD Triple Grip Treble hooks. The Bull Rat is available in three, very simple, stock colors. Real World Tests: My combo of choice for the Bull Rat was Megabass of America's 2017 Destroyer Onager paired with Daiwa's Shrapnel (a reel made for topwater frogging for Snakehead!). If you're an enthusiast tackle buff seeking one of those ultimate big bait combos, you'd be hard pressed to top this combo. It is a resin bait put together with traditional joints. Castability: I fill my Shrapnel with twenty five to thirty pound Sunline Super Natural monofilament - my line of choice for big baits. I generally prefer nylon monofilament for these applications because the material is more forgiving and has better buoyancy than fluorocarbon and is less visible and has more stretch than braid. Of course, it's also more cost effective to fill a large reel like the Shrapnel with nylon mono than any of the other choices. My knot of choice when attaching a bait like the Bull Shad is a Palomar knot. My knot of choice when attaching a bait like the Bull Rat is a Palomar knot. 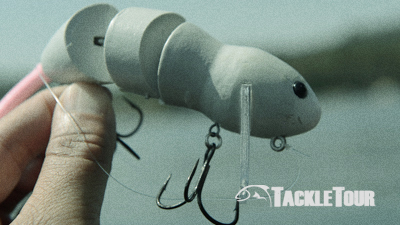 This knot is very easy to tie and has very good strength when used with nylon monofilament. 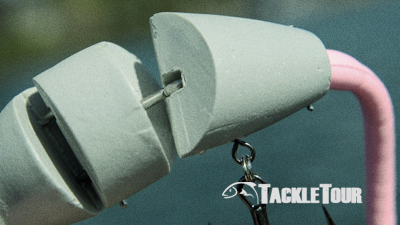 Once secure, the Bull Rat launches as one might expect a large, multi-piece bait to launch. 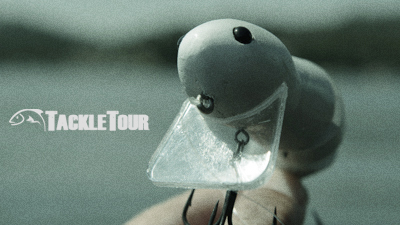 If your backswing and follow through are smooth, the bait sails pretty straight and true. If you try to whip the bait through the air, it will still fly, but tumble as it soars. 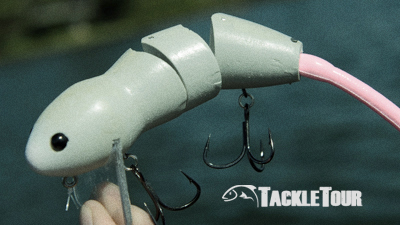 So as with most any big bait, the key is in your casting motion and making a smooth, sweeping arch with your cast. The Bull Shad is a true wake bait swimming just on the surface of the water.